All versions require Uplay and VMProtect DRM and a constant internet connection for all game modes. The Deluxe Edition contains the base game and The Motorsports digital Deluxe pack. 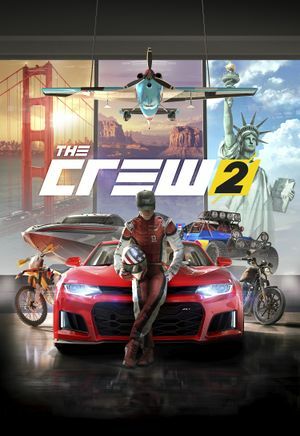 The Gold Edition contains the base game, three days early access, the season pass and The Motorsports digital Deluxe pack. In-game microtransactions are not listed below. Some keys are forced, the main ones aren't. These recommended specs are for 1080p 30 FPS. Recommended specs for 1080p 60 FPS is noted with (60FPS). ↑ 1.0 1.1 File/folder structure within this directory reflects the path(s) listed for Windows and/or Steam game data (use Wine regedit to access Windows registry paths). Games with Steam Cloud support may store data in ~/.steam/steam/userdata/<user-id>/646910/ in addition to or instead of this directory. The app ID (646910) may differ in some cases. Treat backslashes as forward slashes. See the glossary page for details.